Kevin Marsh, who runs Essex-based Marsh Metals, sees a lot to emulate in the way Henry Ford ran his business. The American industrialist is Kevin’s inspiration as he develops his business in a sector facing ongoing pressures. Marsh explains. Marsh Metals specialises in architectural and structural metal work for the construction industry. Evolving regulations in areas such as health and safety put constant pressure on the business to adapt the way it works. While building developers, who make up the majority of the customer base, are also regularly calling on the business to reduce costs, improve the durability of its products and decrease raw material use. So it is easy to see how Kevin has to work hard to remain competitive. This pressure doesn’t seem to faze Kevin, who sees it as a positive challenge that drives him to develop innovative solutions. This approach makes the business stand out in a sector that isn’t typically known for positive change. 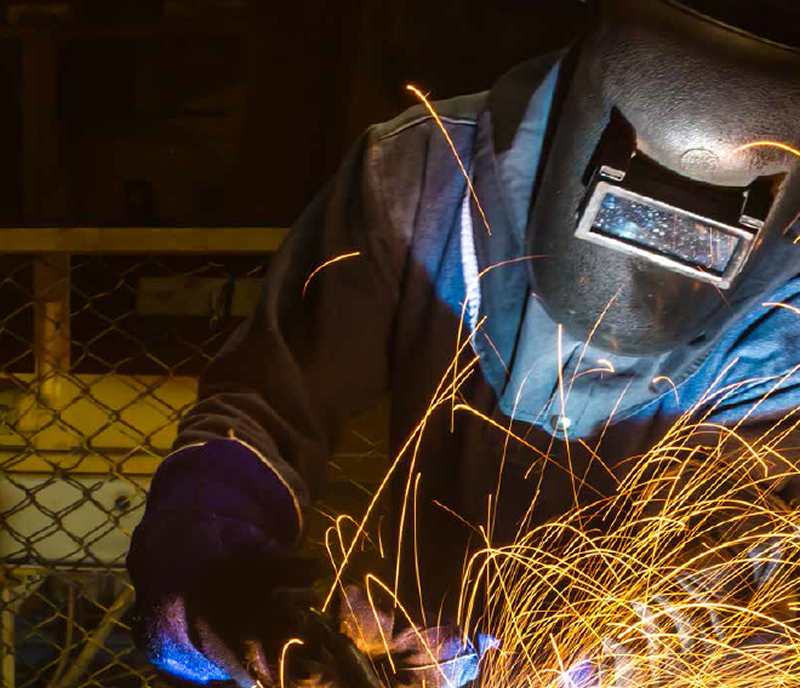 “A lot of practices in the metalworking sector haven’t changed in the past 30 years. With tight margins and flat out working, many businesses find it hard to devote any time or money to innovating. But I think it’s essential,” Kevin explained. Conscious of the benefits of improving efficiency within the business, Kevin has been looking at ways the company can improve its processes. This is where his admiration for Henry Ford came in. Albeit on a slightly smaller scale, Kevin has developed his workshop to employ some of the principles the car manufacturer developed as he drove the introduction of the modern production line. The staff at Marsh Metals all now have dedicated tool stations - fabricated out of metal, of course. Each one contains everything needed to carry out the work done at the station. They are mobile and can be moved around the factory as projects require. Before the tool stations were introduced, time was wasted looking for tools, and tidying areas away. It may sound simple, but it’s a novel approach in the metalworking sector, that has saved time, and money. The vans Kevin‘s metalworkers take when they are required to work on sites are setup to utilise a system of modular 'kits'. Each type of job they may encounter has a dedicated kit that includes all the tools and consumables that may be needed. Before heading out, the team member can load the kits required for the day’s job, safe in the knowledge they will have everything they need. No time is wasted waiting for missing tools or repeatedly travelling between the workshop and a site. Once again this is an innovative way of working for Kevin and his team who are more efficient as a result. The customers also love this approach, as their projects run to time. Looking to streamline other production processes within the business, Kevin is now working on the development of a whole new approach to the jigs used in the manufacture of balustrades, gates and other structural metalwork. The industry norm is for a jig to be made for each design produced. This requirement adds to the overall time taken on a project. It also requires fresh raw materials for each jig, which is then scrapped after the project is complete. Even when the jigs can be reused for multiple projects, they are damaged by the process after being used only a few times. To speed up the process and reduce the waste, Kevin realised he needed a jig that was reusable. But, when he looked into what was available, he could find nothing that did what he needed. So he decided he would have to design and build one himself. The design has taken a number of iterations as it has evolved through testing and developing. And the first version is nearing completion. It is a manual jig that is adjustable. Kevin’s design builds on what is already available to make the welding process faster - both in setting up a new project and with the ease of use when carrying out the welding task. His design cuts down waste, by avoiding the damage caused by heat and spatter - stray pieces of molten welding material, which harm the surfaces they land on - through the way the jig holds the project. Of course, Kevin doesn’t want to stop there. He’s already planning a second version that adds automated welding to the jig. Again, similar systems are already available, but they are not adjustable. As a result, they don’t suit the needs of a business like Marsh Metals, whose projects are largely bespoke. The initial plan is to automate the welding with the addition of CNC (Computer Numerical Control) technology, but ultimately Kevin aims to use an articulated robot. This addition will maximise the speed and flexibility from the jig. From the first version, the jig will increase productivity, its original intended result. But Kevin also sees the potential to sell them to other metalworking businesses. Having a product will be a new direction for Marsh Metals, but one that will further strengthen the business. So Kevin is currently exploring options that will allow the jig to be made under licence. You would think that would be more than enough to keep Kevin busy. But it seems it’s not. A serial innovator, he’s also working on other products, including a stairway solution for the construction industry that will dramatically reduce installation times at a lower material cost than current solutions. It’s not just in his production approach where Kevin wants to emulate Ford. He intends to lead the way in the metal fabrication industry, as Henry did in automotive manufacturing. We think he is well on his way. Marsh Metals has worked with Breakthrough funding, a company that helps UK SMEs achieve R&D tax credits - a government scheme created to enhance and reward innovation amongst UK businesses. Could you be eligible? Click here to learn more.